Experience a week long conference on the beach alongside an incredible community of youth with hearts on fire for Jesus! Founding and Lead Pastors, Matt and Sarah Keller had it in their hearts, as high school sweethearts, that they wanted to be local church pastors. They also knew that “planting” a church somewhere was a great way to do that. God has used them to lead Next Level Church from 30 people, at its grand opening in 2002, to now over 3,400 people in three locations. 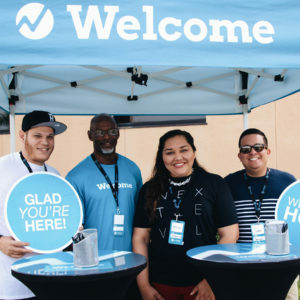 A piece of the Next Level Church vision has always been to be a multi-site church, with locations stretching across Southwest Florida, so that no one will have to drive more than thirty minutes to attend and be involved. 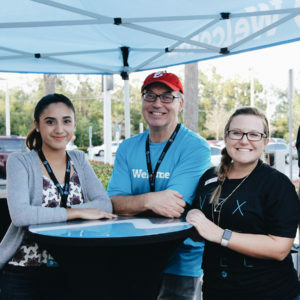 The vision to become a multi-site church came to pass as our locations extended beyond our Fort Myers Location and into our East Location in March of 2014, our Bonita Springs Location in September of 2016 and the Cape Coral Location coming in September 2019. 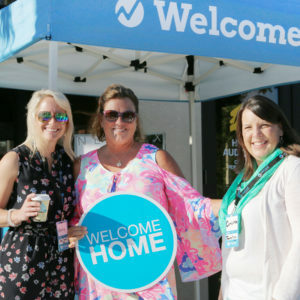 Follow what's going on in the life of our church and connect with us! Next Level Church exists to lead people to become fully engaged followers of Jesus. With locations across Southwest Florida, people of all walks of life are welcomed and encouraged to come as they are. Our hope is to see lost people found, found people free and free people empowered through the love of Jesus and community. © 2019 Next Level Church. All Rights Reserved.